The song was written around the time that Suze Rotolo indefinitely prolonged her stay in Italy. The melody is based on an older song, “Who’s Gonna Buy Your Chickens When I’m Gone”. The melody was taught to Dylan by folksinger Paul Clayton, who had used the melody in his song “Who’s Gonna Buy You Ribbons When I’m Gone?”. 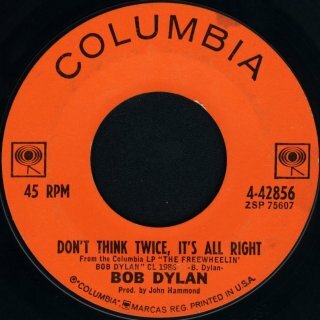 As well as the melody, a couple of lines were taken from Clayton’s “Who’s Goin’ to Buy You Ribbons When I’m Gone?”, which was recorded in 1960, two years before Dylan wrote “Don’t Think Twice”. Lines taken word-for-word or slightly altered from the Clayton song are, “T’ain’t no use to sit and wonder why, darlin’,” and, “So I’m walkin’ down that long, lonesome road.” On the first release of the song, instead of “So I’m walkin’ down that long, lonesome road babe, where I’m bound, I can’t tell” Dylan sings “So long, honey babe, where I’m bound, I can’t tell”. 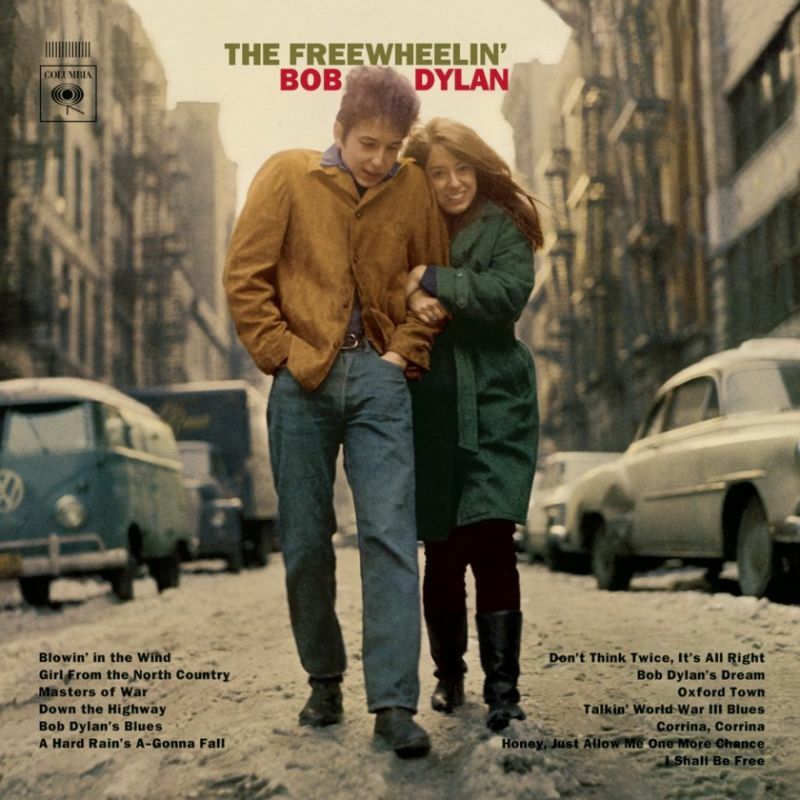 The lyrics were changed when Dylan performed live versions of the song and on cover versions recorded by other artists. Both Clayton’s song and Dylan’s song were based on the public domain traditional song “Who’s Gonna Buy Your Chickens When I’m Gone”. Bob has that voice that can’t be mistaken for by anyone else! A voice to remember , especially on this song ” Goodbye fare thee … A voice so many love ! !